When it comes to making home made dessert pies, you don't have to slave for hours making a recipe that is difficult and time consuming. This particular recipe was given to me 25 years ago by my grandmother and to this day, it is one of our favourites to make. You can purchase two pre-made pie shells or make your own pie crust using your favourite recipe. Once the pie has completely cooled to room temperature, you will want to store it in the refrigerator. When it comes to serving it, I recommend vanilla ice cream, vanilla yoghurt or some whipped topping. If desired, you can place a few fresh cherries on top of your chosen topping right before serving. In a small mixing bowl, combine the granulated sugar, tapioca and table salt. In a large mixing bowl, combine the chopped pineapple pieces and lemon juice. 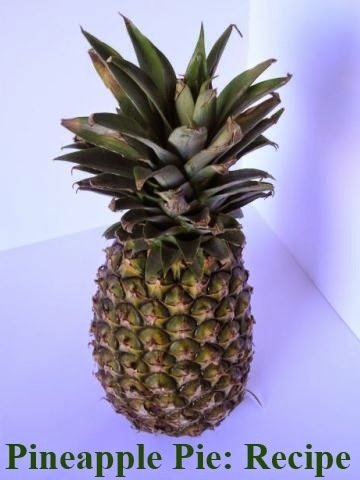 Gently stir the sugar mixture into the pineapple mixture to combine all ingredients together. Let this mixture stand at room temperature for approximately 15 minutes. Pour mixture into an unbaked pastry shell and dot the top with butter or margarine. Use the second pastry shell to make a top crust, seal the edges with a tad of water if necessary. Bake in a preheated 350 degree oven for 35 minutes or until done. Cool pie to room temperature and then refrigerate.